MANILA, Philippines (CNS) — President-elect Rodrigo Duterte’s win in May 9 national elections was “a strong reminder that people want change,” said Father Anton Pascual, president of Radio Veritas, the country’s largest Catholic radio network. Father Pascual told Catholic News Service May 11 that he had “high hopes” Duterte would crack down on corruption, criminality, “unchecked terrorism” and drug pushing, and he suggested he start with a “big fish” corrupt official to set an example. Duterte has a charism for identifying “with people’s needs and aspirations. He verbalizes the language and longings of the people to cleanse society or reduce substantially the social ills,” Father Pascual said. 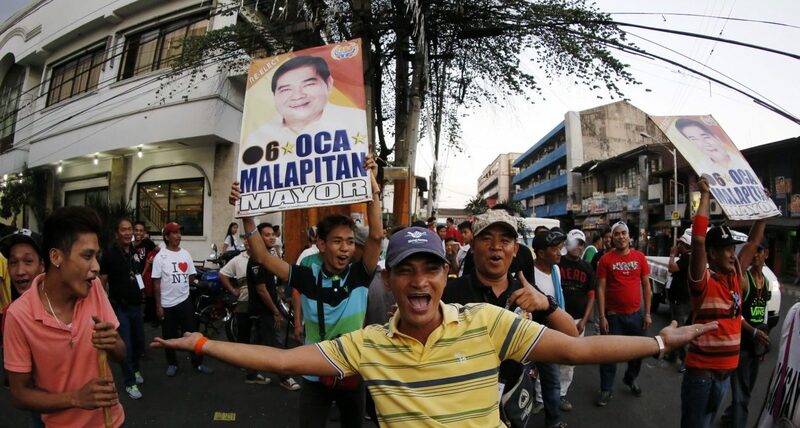 Filipinos voted for 18,000 offices, from president to local neighborhood councilors. Some Catholic leaders were reserved about Duterte, the Davao City major known for tough talk. Throughout the campaign, Duterte said he would rid the country of criminals within six months of taking office. At times he had said he would do this legally, but at other times he did not include that caveat. Archbishop Antonio Ledesma of Cagayan de Oro commended calls for “reconciliation and healing” among the candidates after campaigns that saw name-calling and allegations flying against one another. The archbishop told Catholic News Service the archdiocese honors the results of the presidential race. The 71-year old Duterte has been a strong proponent of giving Muslim separatists in the country’s southwest their own state. Peace was forged in 2014 between the current administration of President Benigno Aquino and the largest rebel group, the Moro Islamic Liberation Front, in a bid to end four decades of conflict that saw more than 120,000 people dead. But the peace process hit a major stumbling block after a clash between the rebels and special police forces in January 2015 left more than 60 dead. The incident sowed distrust on both sides and made difficult the passage of a measure that would create an autonomous Muslim majority region. The archbishop said the church was praying for wisdom and discernment of God’s will for those who won office. He said they should remember that God had a hand in their victories and that God calls public officials “to service and to care for the weakest and the most distressed in our midst,” particularly children in need and exploited women. “The greatest promise the church can offer any government is vigilant collaboration, and that offer, we make now. We will urge our people to work with the government for the good of all, and we shall continue to be vigilant so that ever so often we may speak out to teach and to prophesy, to admonish and to correct — for this is our vocation,” the letter said. During the campaign, Duterte told the bishops’ conference to quit criticizing his ways.